If you aren’t already a huge fan of the globetrotting Mariko Izumi and her show ‘Hookin’ Up’ it’s about time you get to know why so many people are. 1. Heaven forbid but assuming that you were banished for life to fish on one lake/river/body of water in Canada and one outside of Canada where would it be and why? Mariko’s Answer: In Canada – Lake Ontario, because this way I could still switch it up…one day I could be fishing in the Kingston area and the next day I could be fishing in the Toronto area (and enjoy the view of my home city!). 2. You have traveled all over the world but what are your top 3 recommendations for a group of single friends searching for the perfect blend of fishing and entertainment (partying)? Why? 3. I assume that you have tons of bloopers and funny moments when filming Hookin’ Up, but what’s the funniest pick-up line (fishing related) that someone has tried on you when you were on the road filming? Mariko’s Answer: Believe it or not, the pick up lines are never fishing related. Mariko’s Answer: I don’t really care ‘cause I’m on the water! It’s always good to be on the water (unless I’m sea sick of course). 5. You certainly don’t fit the stereotype of an angler, so what’s it like being a female angler in a male dominated sport? Mariko’s Answer: To be honest – don’t put much thought into it. 6. What 3 lures would you tell every angler to never leave home without? Mariko’s Answer: Depends on where you’re fishing and what you’re fishing for. I always go with what the pro or guide tells me to use. 7. Your show ‘Hookin’ Up” is doing really well but what’s next for you? Any future projects that you are dreaming of working on? Mariko’s Answer: I love my job as a TV Travel/Fishing host but I wouldn’t rule anything out in terms of future projects…I like to take things as they come. 8. What’s your favourite part of your job? Mariko’s Answer: Getting to re-visit favourite cities/towns and getting to explore new ones. 9. What is banging on your i-pod on repeat? What’s the last song you added to your i-pod (assuming you support Apple products)? 10. What advice would you give to anyone who wants to make fishing more than just a hobby? Mariko’s Answer: Think of unique ways to get yourself noticed and be respectful. Cool interview! 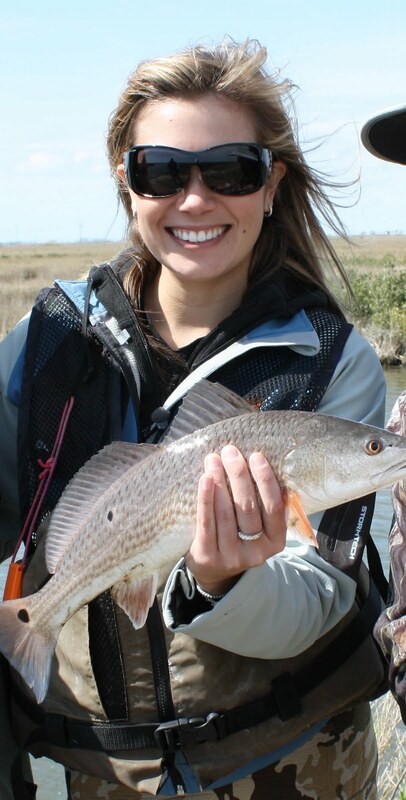 It's impressive that a girl knows so much about fishing and is interested in it. Maybe I'll come with you again but I want to do "angling" like Mariko! Great suggestion. It was also suggested that I do a little fishing 101 post for all those who are interested but have no idea where to start. That's really it for now. Take care of yourself, and keep up the great work on your television program. Great fishing rods pointed at good time! Fishing for crappie is one of the more enjoyable forms of fishing because of its relaxed nature and the ease of the catch. This article will help those that enjoy crappie fishing catch more fish. Great and awesome post, i truly love it. Thanks for sharing!